Losing collagen is a fact of life. As we age, collagen production slows and our skin loses its elasticity which causes fine lines, wrinkles, and even sagging. We all covet fresh, young, beautiful skin and while a professional skincare regime can help maintain and protect - it often isn’t enough to keep aging at bay. If you are looking for total skin rejuvenation, then it might be time to consider Microneedling with PRP. 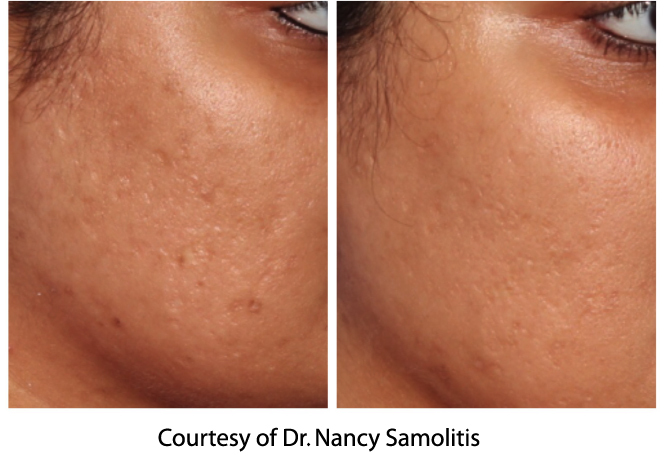 To put it simply, Microneedling, or Collagen Induction Therapy, is an incredibly effective treatment that pricks the skin with tiny needles creating micro-injuries. These microscopic injuries stimulate your body’s natural collagen production - making your skin and body tissue stronger and more flexible. At Sage Spa, we use the most advanced medical-grade automated micro-needling device on the market - the Eclipse MicroPen®. It is more effective and precise than derma-rollers and doesn’t use heat like lasers. Platelet Rich Plasma, or PRP, is an enhancement to standard Microneedling and is produced from your own blood. PRP contains highly concentrated amounts of natural growth factors and other cytokines that promote the regeneration process of soft tissues and speeds up the healing process. The PRP is applied directly to the channels that were created from the micro-needling to further stimulate the natural healing process and creation of collagen. WHAT DOES MICRONEEDLING WITH PRP TREAT? First, we will prepare your skin by cleansing it and removing all makeup and products. We will apply a topical anesthetic to help numb the skin. Clients liken the treatment to experiencing a warm sensation, like that of a sunburn. There may also be some discomfort in the area being treated but this will pass as we move to another area. For PRP, your blood will be drawn by our Nurse Injector, Candyce Bell. She will then filter filter out the red and white blood cells, leaving only the liquid plasma and platelets. These platelets are applied to the skin, increasing the cell turnover and rejuvenation while speeding up the recovery process. The sunburn feeling may remain for up to 24 hours. You will need to avoid direct sunlight for the first 48 hours, makeup for 18 hours, and refrain from smoking for 24 hours, as well.